Brewing coffee from your own kitchen has roughly been the same for a long while. Pour-overs, french press, and drip coffee had been the normal coffee brewing methods use - that is until 2005, when Alan Adler designed the first Aeropress coffee brewer. The produced when the coffee grinds and hot water are combined in the main tube. After steeping for some time, the plunger is used to push the coffee through the paper or metal filter at the bottom and into the cup. Although the product is advertised as home espresso maker, it does not nearly provide enough force to produce espresso. The traditional method begins with the filter pointing down towards the cup. This way, when the water is added to the coffee grounds, water will slowly fall through the paper filter until the plunger is added. 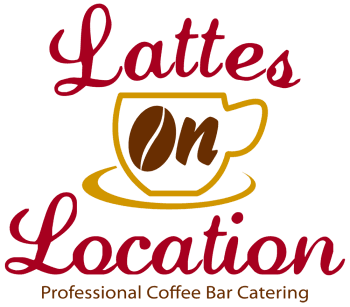 The inverted method is the method we use here at Lattes on Location. The inverted method begins with the plunger only partially inserted into the tube and the cap with the paper filter taken off so you can pour the coffee and water in. 1. Put water in the kettle or on the stove and wait for it to begin boiling. 2. Once the water reaches a boil, grind the coffee. A coarse grind is preferable Make sure not to grind to early or you will slowly lose all of the flavor! 3. Rinse the paper filter with the hot water to remove the paper flavor. 4. Using the inverted method, dump the 17g of coffee into the Aeropress and make sure it is even on all sides. 5. Place the Aeropress on your scale and tare it so that it reads 0 grams. 6. Pour 170 grams of water onto the grounds. 7. Softly stir for 15 seconds. 8. Let the coffee and water steep for 78 seconds. 9. Stir the mixture up once more. Congratulations! Go enjoy your fabulous cup of coffee.